Ukraine’s citizens and economy need more electricity every year. Ukraine has 15 nuclear power plants covering roughly half of these needs. As no one wants a new nuclear disaster, the EU and Ukraine agreed in the 1990s to work very closely together on ensuring high nuclear safety standards for existing and future nuclear power plants in Ukraine and in the Commonwealth of Independent States (CIS) in general. Moreover, Ukraine still has a major nuclear waste management challenge in Chornobyl. Here, the fourth destroyed unit will be dismantled only when the sarcophagus is completed. In June of this year, the EU launched the second phase (2014-2020) of its worldwide Instrument for Nuclear Safety Cooperation Programme (INSC), backed with €225 million. This comes on top of the €524 million the EU spent (including €275 in Ukraine) under INSC in 2007-2013. Part of this new INSC financing will also be used for projects in Ukraine. The priorities of the new INSC phase in Ukraine are threefold, says Adriaan van der Meer, head of the nuclear safety unit of the European Commission. The INSC is targeting “support to regulatory authorities, work on nuclear waste management, and social projects in the Chornobyl area,” including medical care and production of clean food (non-contaminated by radioactivity) for the local population, he says. Van der Meer shared his views during the inaugural meeting of the Joint Support Office (JSO) held in Kyiv on October 20, which coincided with the launch of the second phase of the INSC in Ukraine. The Kyiv-based JSO is an essential tool for EU-Ukraine cooperation on nuclear safety in the commercial sector. As nuclear plants and regulations are highly complex, this office promotes the efficient cooperation of engineers, energy experts and technicians from the EU and Ukraine under the INSC. Established in 2005, the Joint Support Office aims at coordinating the work of the European Commission, local Ukrainian authorities, and contractors of EU-funded programmes. It supports this technical dialogue daily and helps the EU and Ukrainian partners to identify and implement projects in Ukraine related to nuclear safety and Chornobyl. “The European Commission has spent more than €800 million on Ukraine’s nuclear safety since 1991,” says David J. Corbett, JSO director. “All these allocations are aimed at strengthening nuclear safety and nuclear safety culture in Ukraine,” he adds. The launch of this new phase demonstrates the EU’s ongoing commitment to funding large projects aimed at enhancing nuclear safety in Ukraine, such as the €14 million training centre at the Zaporizhia nuclear power plant, the largest nuclear plant in Europe. In addition to addressing technical nuclear safety issues, the second phase of the INSC implementation in Ukraine, and of the Joint Support Office, will also focus on the new reality of EU-Ukraine relations. Hryhoriy Mulyar, a high-ranking official from Ukraine’s energy ministry and Serhii Bozhko, head of Ukraine’s nuclear energy regulator, expect that the JSO will even further enhance cooperation between European and Ukrainian regulators. Deciding on the right proportion of different resources in its energy mix is a choice only Ukraine can make, of course. But by helping Ukraine to enhance its nuclear safety, the EU helps ensure that relatively cheap electricity is produced safely and in large quantities to cover the needs of all citizens and industries across the country. Through TACIS (Technical Assistance to CIS), the EU dedicated €1.3 billion to implementing nuclear safety projects between 1991 and 2006. Over €560 million of these funds were disbursed in Ukraine. Between 2007 and 2013, EU-Ukraine cooperation on nuclear safety has taken place within the framework of the INSC, which is administered by the Joint-Support Office (JSO). The first phase of the INSC had a total budget of €524 million, €275 million of which was spent in Ukraine. 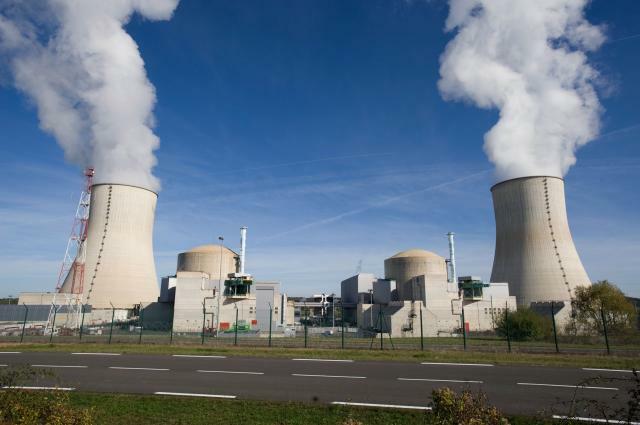 In June 2014, the strategy for the implementation of the second phase of the INSC (2014 – 2020) was agreed upon in Brussels, committing another €225 million to nuclear safety projects, some of which will be used to finance further projects in Ukraine. The JSO was established in 2005, as an essential element of EU-Ukraine cooperation on nuclear safety in the commercial sector.